Why I'll Stop Talking about "Short-Term Mission Trips"
Recently I've read several books and academic papers on the subject of "short term mission trips." I've been gaining new insights and historical perspectives that I look forward to sharing on this blog. That said, from here on out I will be avoiding use of the popular label "short-term" mission trip. Let's stop and think grammatically about it. In this case, "short-term" is functioning as an adjective. But what does it describe? The trip? That would be redundant. The mission? hmmm.. While sometimes that makes sense (just as sometimes candy and alcohol have medicinal purposes), generally speaking, it is a contradiction in terms. So, until I have a better term, I'll be dropping the 'short-term' when blogging about mission trips. As part of my on-going campaign to highlight the perks of life in Djibouti, I bring you photos of our embassy's recent land sailing adventure in the Grand Barra. Having no experience, I was nervous at first, but it was quite fun. The place has a shade shelter and tables/chairs, so our group did a pitch-in lunch. There is a also a basic western-style bucket-flush toilet there. Tip: Fearing my sunglasses would be insufficient protection from the swirling sand clouds, I brought along my tinted swim goggles. Very glad I did. Short-Term Missions: Don't Forget the Importance of Follow-up! Last Thursday evening at the Djibouti Protestant congregation's women's association meeting, Yolanda announced that Zibi had died. "Who?" was the general response. Zibi, a Cameroonian footballer had recently moved here on a contract from a Djiboutian team. Between his training schedule and the birth of their son, Zibi and his wife Princess were strangers to most of us at church. But, they had presented themselves to the senior pastor upon their arrival, so as far as the women's association and the church council were concerned, we had a moral responsibility to pay our respects to Princess and offer financial assistance in her hour of need. And so, last night, there we were-- a menagerie of foreigners (Congolese, Malagasy, Cameroonian, Ethiopian, Swiss, German, French, American, etc.) gathered in the sparsely furnished apartment of a dead man we didn't know so that his widow--a foreigner like us--could ritually mourn his passing with the support of a community of faith. A handful of his teammates--some I'd seen at church--were there as well. Perhaps they were also flatmates. Princess sat in the circle with us. I noticed her bald head (in mourning or her style? ), her muscular build (also an athlete? ), and the face of an emotionally drained but spiritually strong woman. As we sang, she changed her son's diaper. Her way of mourning that evening reminded me of a friend of mine. When the church leaders had finished offering all the words, songs, and gifts of comfort they had brought, Princess informed us that Zibi had been a happy man. He wouldn't want to be remembered through songs of mourning. Could we close instead with a joyous song of faith? Yup. That's me on the right: my first trip outside the USA. Critiques of short-term mission trips have been in academic journals for many years, and they've recently started to go viral in the mainstream discourse. I am happy about this dramatic increase in awareness; for too long unhealthy practices have continued on unexamined. If you don't know what I'm talking about, then this blog post was not written for you--not yet, that is. This post is for those who have been reading books like Toxic Charity and Dead Aid and articles like Why You Should Consider Cancelling Your Mission Trips or Rethinking the $3,000 Mission Trip and need to be reminded to not throw the baby out with the bathwater. I'm offering my story as a case study. 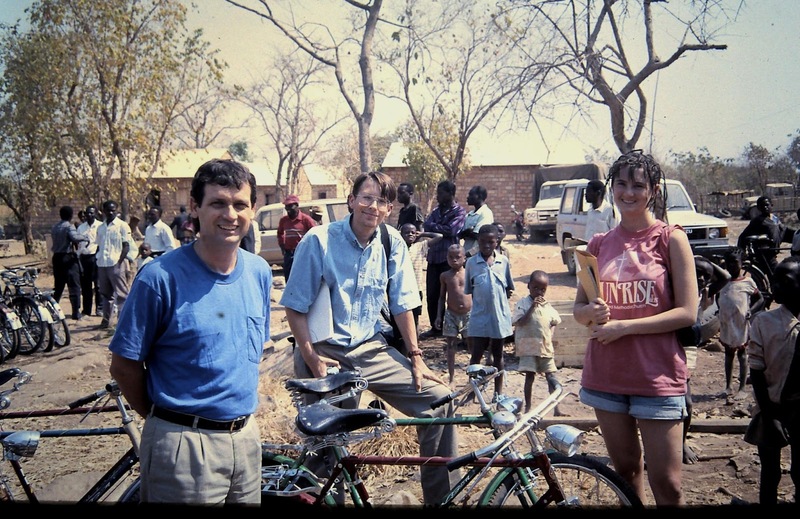 About two decades ago, The United Methodist Church's South Indiana Conference gave me a youth scholarship to go to the North Katanga Conference (DR Congo). What was the mission? My father had been invited to be the keynote preacher at the conference; his words were so appreciated that the bishop convinced him to preach at the Tanyanika conference too. Dad was also there to witness the distribution of the hundreds of bicycles Hoosiers had helped purchase through the fundraising campaign he had led. I and two of my classmates (brothers), however, were just tagging along for the adventure. What did I do/accomplish? I had no skills to contribute or even ability to converse in local languages. I was that girl wearing comical braids, souvenir t-shirts and scandalous shorts. True to stereotype, I had even packed a beloved stuffed animal to sleep with, and my journaling was fairly shallow in the reflection department. We teens passed the time by wandering aimlessly around the village and entertaining the crowds of children who followed us. I'm certain that what the local church spent on our regional transport, food, etc. far outweighed anything one could argue they gained from our being there. The two brothers never returned to Katanga. It took me 10 years. The brothers (one of which is currently a political science professor in Qatar) can tell you their story some other time. As for me, I now had a stamp in my passport and the big wide world in my heart. That trip set into motion the course of the rest of my life. You tell me: Considering I could not have gone otherwise, Was giving me that scholarship a good use of church funds? My second international short-term mission trip experience was an "alternative spring break" in Honduras organized by my university's head chaplain who had once been a GBGM missionary there. What did we do/accomplish? We journeyed to a village in the mountains and met people living there. We listened to stories about their lives and the situation in Honduras. We carried some construction blocks up a hill for a bit. We spent a day visiting the Mayan ruins in Copan. We got to have casual intellectual conversations with a couple of our university's international development professors who were on the team. We did souvenir shopping; I bought textiles and splurged on a fantastic carved trunk. I highlight the shopping part because purchasing items from local artisans was my main contribution to Honduras on that trip. I'm assuming that based on who was our leader, our hosts did not suffer financially from our visit. I have not returned since then; I don't know about the other students. You tell me: Was this a better alternative to spending spring break lounging around in, say, Florida? I was recruited for my third international mission trip--offered all expenses paid by the Timmy Foundation for a month in Haiti. What was my mission? Stick around a few weeks after the main team left to play big sister to a couple of inexperienced volunteers and report back to the foundation my observations about the medical school that they were being asked to assist. Coincidentally, most of the folks on the team were members of a very large United Methodist congregation in Indiana--including its senior pastor. We were hosted by a woman who had returned home to Haiti after earning her doctorate and was trying to get a medical school off the ground. I unexpectedly became a substitute teacher at a boarding school for troubled Haitian-American youth that our host was running on the same compound. Upon my return to Indiana, I reported back the foundation and team leaders that there was something fishy about the orphanage and that the school's founder/director, while passionate and inspiring, had so many projects in the air that she had stretched herself to the point of poor management of all of them. By the time I gave this report, however, the congregation had already resolved to put their support behind the school and dismissed my recommendations as lacking vision/faith and/or proper respect for its director. I've not been back to Haiti; I'm not sure what happened after I walked away, but it appears that the foundation no longer sends teams there, and the congregation is involved in projects in another part of the country. This last-minute joining of the trip occurred during one of the bleakest chapters of my faith walk. I had just completed my MA in international development and was feeling quite discouraged about the state of the world and my ability to change it. Either God didn't exist or God was a jerk; either way, we were no longer on talking terms. That's when Ma Tante (Aunty) walked into my bedroom. 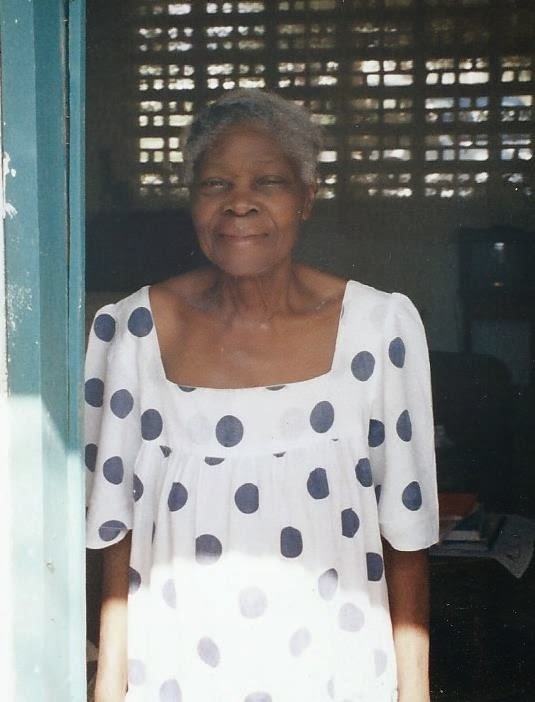 Despite her advanced dementia and my limited Creole, she preached to me coherently for half an hour straight, and I understood exactly what she was saying. She commanded me to get on my knees and pray for my faith to be saved. She proclaimed with confidence that God was preparing me for ministry with those who are suffering. She spoke with such authority that she brought me to tears. Later, when I informed her niece, the school's director, she responded nonchalantly: "Ma tante spent years as an evangelist; she probably just slipped back into that role for a moment." Aunty didn't remember me when I saw her again that day, but I still remember her. I've kept her photo prominently displayed for over a decade--a daily reminder to snap out of it, pray for faith, and go do what I've been trained to do. You tell me: Is the world a better place because of that trip? If you haven't noticed, the theme here has been the impact such trips have had on the quality of my life and ministry. It's a common theme among those who have been on such trips. In fact, I'm looking forward to reading a book I just heard about: Short-Term Mission: An Ethnography of Christian Travel Narrative and Experience, which appears to make a similar observation. I suppose a better question to be asking isn't whether short-term mission trips are valuable experiences but whether we are being honest with ourselves about who benefits from them and the implications from that. I assert that we are getting more out of these trips than we are contributing. Perhaps, then, the challenge is to figure out how to do a better job of balancing the equation. Shameless plug: Friendly Planet Missiology has teamed up with the NC Jurisdiction Mission Discovery program, the IN UMC Volunteers in Mission program, and IN United Methodist Women to offer a chance for up to 7 lucky young adults (age 18-30) to travel with us to discover North Katanga. Application deadline closes very soon, so drop us a line immediately if you want in on the action. We're sure it will be life changing. Church Retreat/Member Baptism on Maskali Island, Djibouti: A Mission Trip? The word mission is used so frequently in the Church that it is easy to assume that we all know and agree on what it means. In truth, the answer(s) are complex and debated. Since I've recently been accepted in a doctorate in missiology (the systematic study of mission) program, you'd think I'd be able to offer a simple straightforward definition. In truth, the more I read/reflect on the subject, the more possibilities I discover. Below is an early beta version of my answers. I fully expect to revise this post over the next several years. Contributions welcome. The Mission of God (Missio Dei) -- Theologians debate this one; I suggest checking out the Wikipedia commentary on it. The Mission of the Church (What God has called the Church to do, Its primary task)--This too is debated. In what ways are the Mission of the Church and the Mission of God the same? Does the act of becoming a Christian makes one's mission in life the same as the Church's? It is possible for denominations to have different principal purposes, or are we debating interpretations of the same call? The United Methodist Church's current mission statement, for example, declares its Mission to be "Making disciples of Jesus Christ for the transformation of the world." However, the beginning of the preamble of The UMC's constitution states "Under the discipline of the Holy Spirit the Church exists for the maintenance of worship, the edification of believers, and the redemption of the world." God/the universe's Mission for all people -- Love? This is where the usage of the word mission starts to get muddled. Do we call every task we believe God has asked us to do our mission? Are call and mission synonyms? Prof Lovett Weems teaches that mission is “what God calls the church to do. It is the purpose of a church...Vision, on the other hand, while grounded in the mission, is that to which God is calling the congregation to do in the near future to advance the mission.” (page 92 of Take the Next Step) Weems argues that what is often labeled as our mission is actually our vision of how to respond to our Mission. The potential semantic implications of making such a distinction strain my brain. Would that mean that I'm a missiologist specializing in vissiology? Until I've made my conclusions, I've decided to start typing (M)ission and (m)ission to distinguish between the big Mission and specific missions, but maybe, though, you'll spot me starting to type vision where one would expect to find mission. 4) A building/center whose primary purpose is to do the Mission of the Church. The distinction between a church and mission is often determined by who pays the paychecks and utility bills. Another distinction seems to be whether organized worship or the alleviation of suffering is viewed as the primary function of the building. I'd be interested in finding commentaries on when/why we call a mission a mission and not a church. The meaning of mission as an adjective is tricky. Examples include: mission trips, mission projects, mission committees, mission speakers, mission Sunday, mission giving, etc. In every example I've been able to think of, when mission is used as an adjective in American churches, it generally refers to activities of the congregation involving doing something for financially struggling people outside of the social circles of the congregation's membership. The most popular of these activities include (re)constructing buildings, providing food, digging wells, offering medical services, providing objects (books, clothes, shoes, bed nets, etc), providing entertainment to poor children, and teaching classes. More recently, micro-credit, marketing fair trade goods and offering matching grants have been gaining traction. A small but growing number of Christians are experimenting with other alternatives, some of which are featured in Robert Lupton's must-read Toxic Charity. In some churches, mission work also refers to efforts to convert individuals to Christianity; in others, this is put in a separate semantic category: evangelization. Another thing to note about mission when used as an adjective is that it often refers to activities not financed by one's tithes; a 'second mile' of giving is required to fund them. Except for a handful of people who are called to mission work, participation in such activities is presented as optional and/or bite-sizable (one week of volunteering per year or a few evenings per month). ..................... I hope you see where I'm going with this, so I'll just lift up a couple more questions I'm pondering: If Mission is the primary task God has given us in our life, why does mission as it is used as an adjective not carry the same weight? 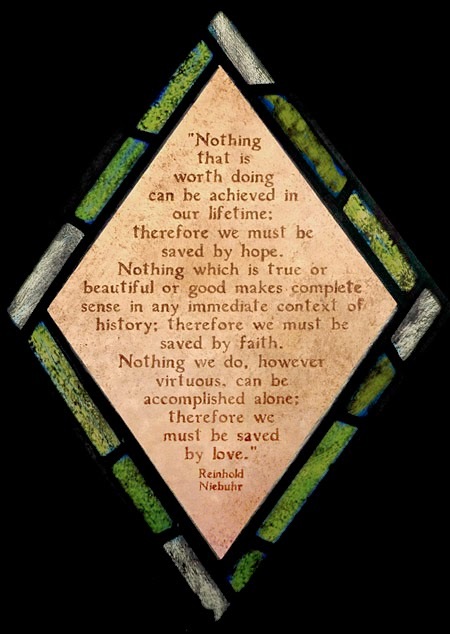 Or this one: if all the other things we do at church aren't mission work, then what are they and why are we doing them? Let's discuss.